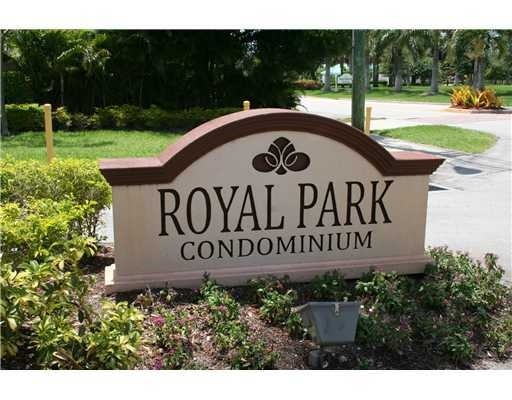 The Fort Lauderdale real estate market, offers such a broad assortment of lifestyles that we want to bring your attention to one of our favorites, Royal Park Condominium, Read more about Royal Park Condos, in Oakland Park Florida. Royal Park Condominium is in beautiful Oakland Park, Florida, which sits just to the northern bordser of Fort Lauderdale. The condominium is surrounded by water, and is next door to Easterlin State Park. Royal Park Condominium may be a little difficult to find, but Eric Miller and Associates are always here to help. The property consists of 32 builidngs and 671 units all in low rise condominiums. The community has a 24 hour manned gate house. Royal Park has three swimming pools, and a club house which feautres an exercise room, sauna, steam room and billards. Pets are welcome up to 30 lbs. and there is a City of Oakland Park dog park just blocks away. At Eric Miller and Associates, "We're here to help" with your next Royal Park Condominium purchase or sale. Contact us directly at (954) 383-8170.